Hot Toys going strong with the MKVII armor. 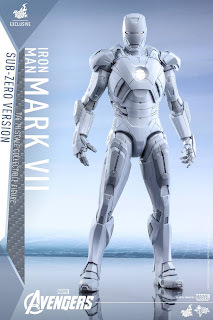 Following the release of STEALTH, HT introduces another original design The Sub-Zero! 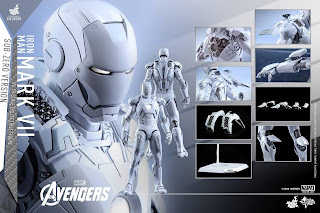 Check out full details from HT below! 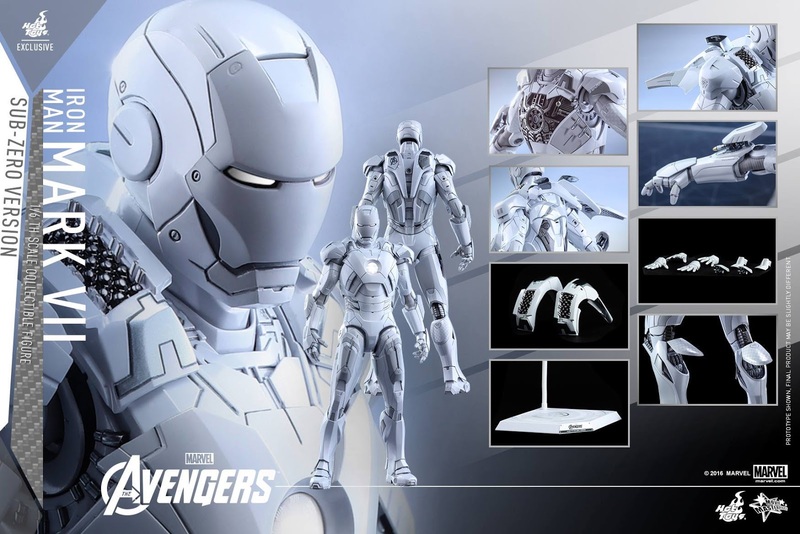 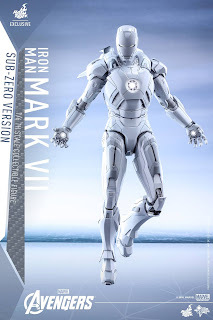 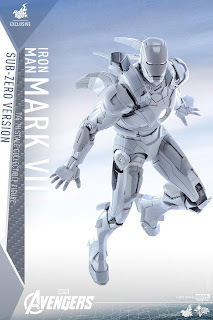 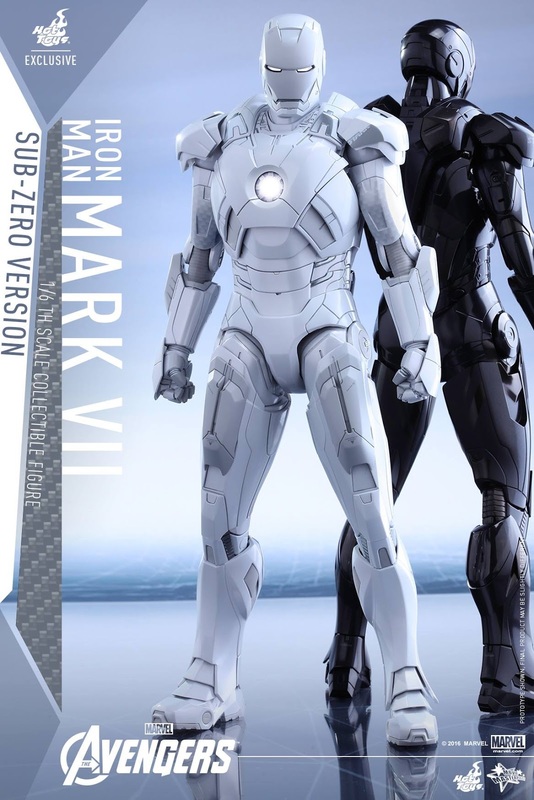 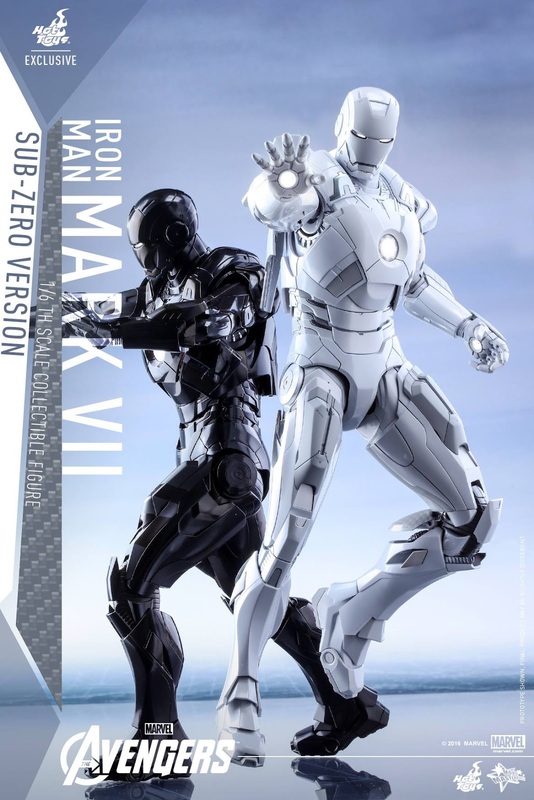 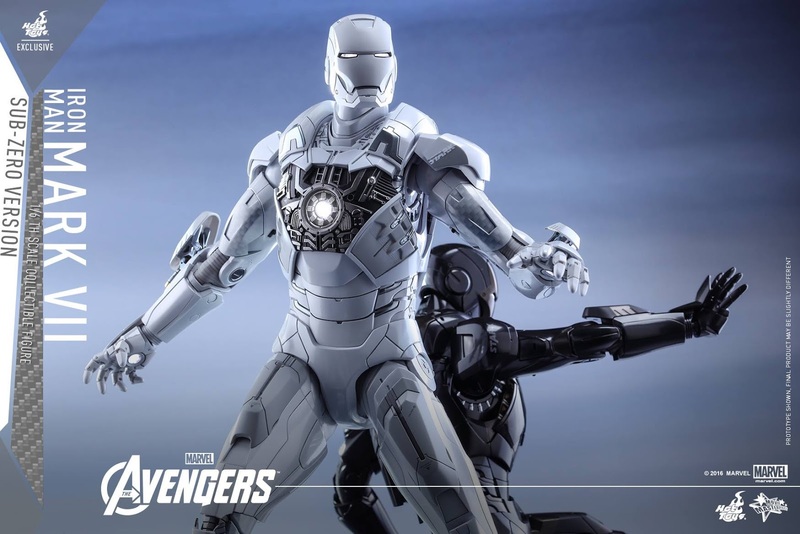 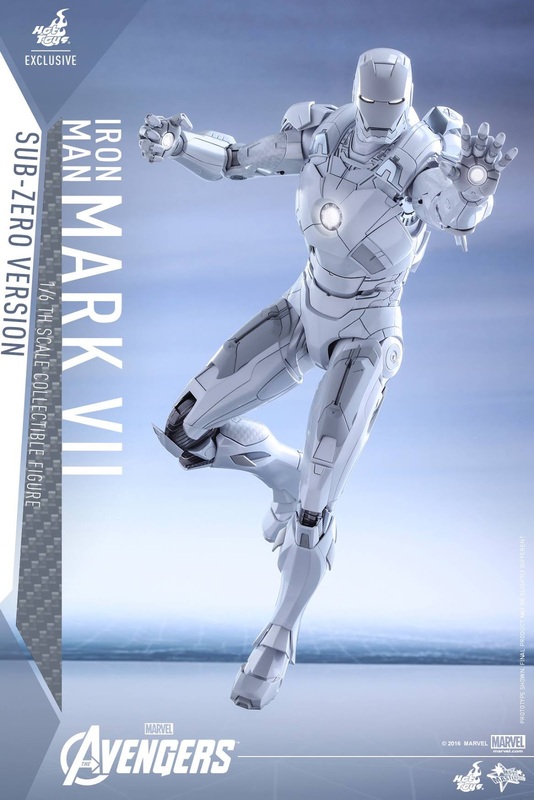 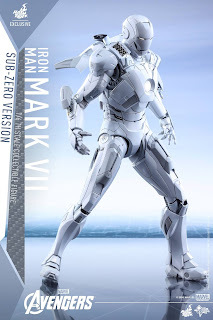 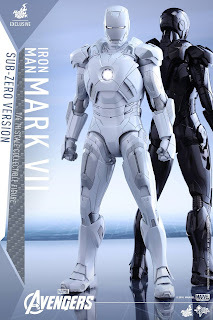 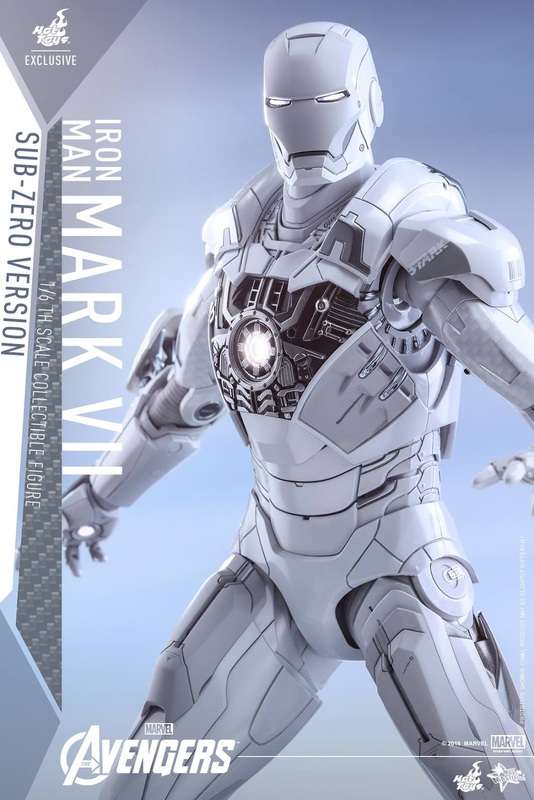 The exclusive Mark VII (Sub-Zero Version) Collectible Figure is only available in selected markets and features multiple layers and various shades of white and light grey colors on armor with white carbon-fiber like designs, Stark Industries decals at various parts of the armor, LED light-up functions, interchangeable armor parts, and a specially designed white colored dynamic figure stand.